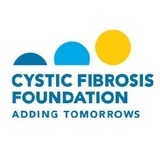 The Cystic Fibrosis Foundation is in need of three volunteers for our Rockin' to a Cure event on Saturday April 18th. Volunteers are needed specifically for event set-up that morning, from 9AM to approximately 12:00PM. Event is located at The Strawberry Bowl in Garden Grove.